the age distribution – specifically in developed western industrial nations – will change dramatically. By 2040, 30% of the population will be older than 60 years! chronical diseases are increasing due to a general lack of exercise and malnutrition. an increase in multimorbidity is inevitable. the cost pressure on the health care system is continously increasing. The services of the health care system can be delivered more effectively and cost-efficiently thanks to the availability of medical data, the prevention of repetitive analysis, optimized treatment concepts on chronical diseases, improved medicine security and the indentation of ambulant and stationary medical treatments. “Move the information to the patient” – Patients shall receive treatments as near to their place of residence as possible. Location-independent supply – telemedicine allows patients in structurally weak regions to receive the optimal medical care. 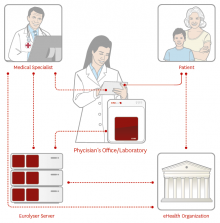 Easy access to medical information – easier accessable for employees within the health care system as well as patients. 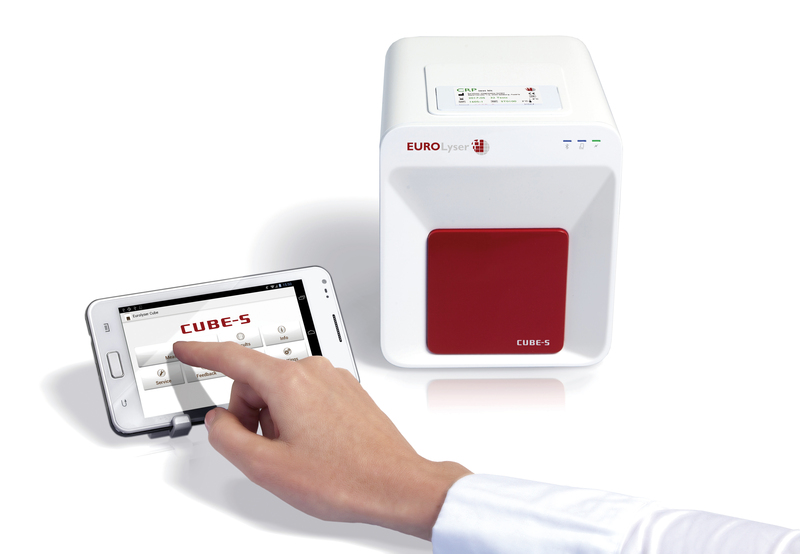 The Eurolyser CUBE-S is ideally suited for linking up with modern eHealth or mHealth services thanks to its internet connectivity with the tablet PC. 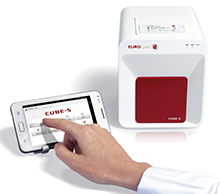 Synchronized results can be accessed via the Eurolyser online service: Web access portal.